This weekend we braced for our second blizzard of the winter season. 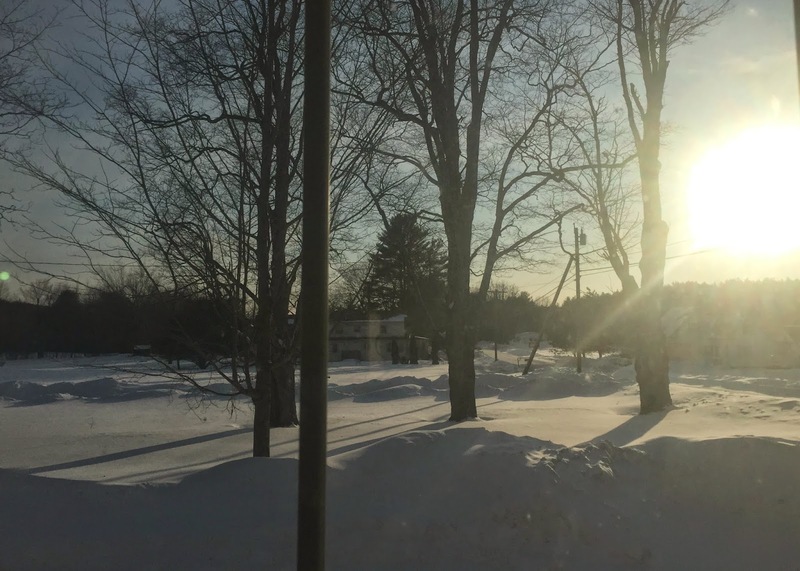 After a long, slow flurry amounting in approximately 2 inches, the blizzard was cancelled and we had...wait for it.... sunshine! Ward was disappointed, but I was quite excited! If all of that white stuff melted this week, I would be quite happy. I know it won't. I also realize I live in Maine and we have lots of time for a ton more snow. I'm also convinced the kids will be playing in snowbanks while we spectate the Boston Marathon. really, 82 days now..... *&%# is getting real! 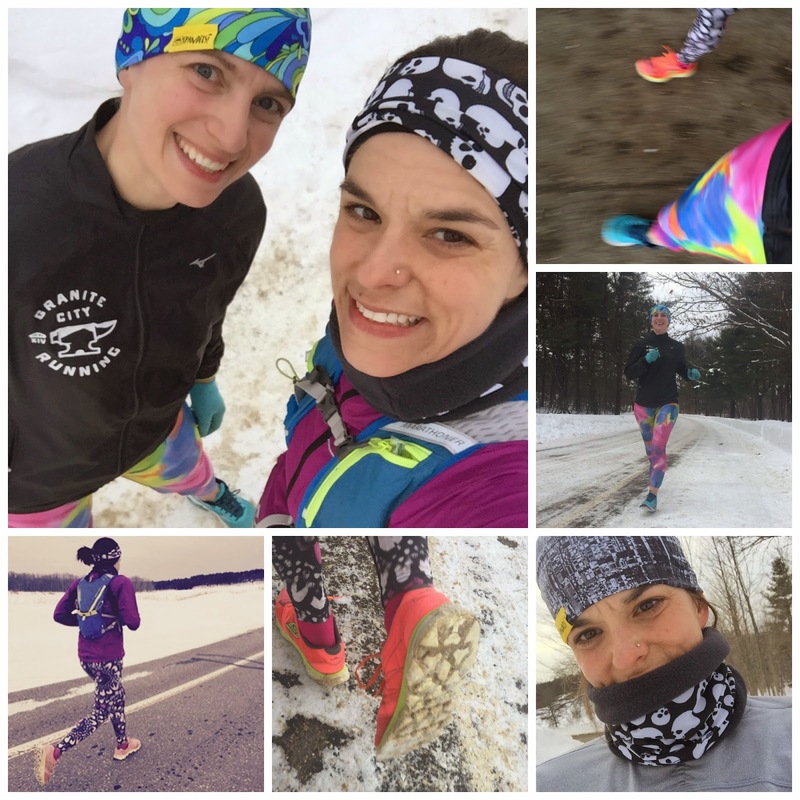 Marathon training is in full swing right now and I'm not letting our weather get in my way. I am stubborn like that. 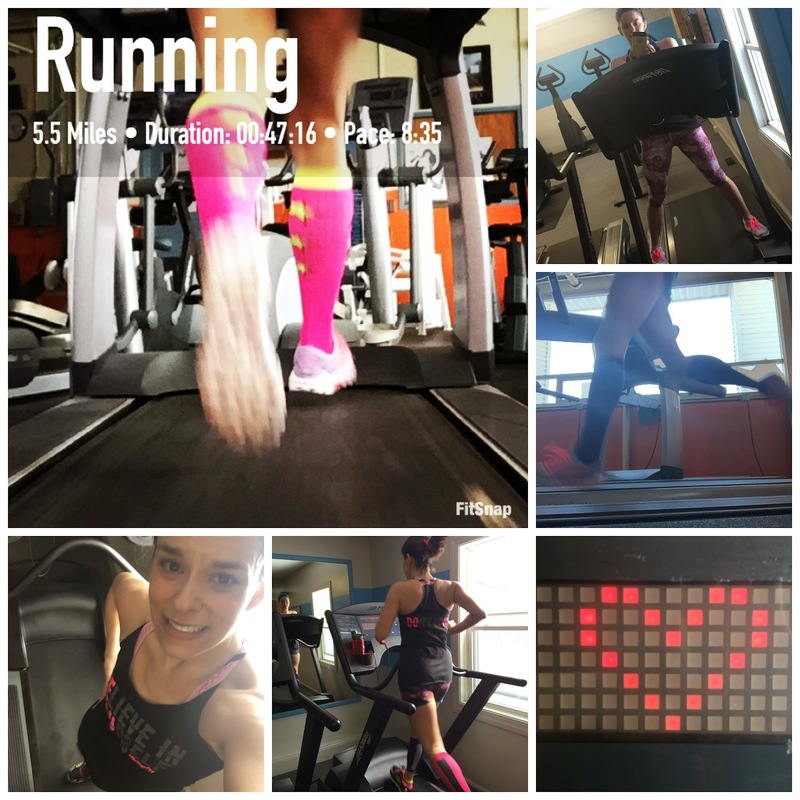 However, I have taken quite a few of my runs to the treadmill lately. We've had a long string of days with negative windchills, slick conditions, and a lack of shoulder because the snow is so high. I have come to learn to love the treadmill. Yesterday, Carrie and I got in our long run on the treadmill at KV Health Club. Having a friend with me the entire time definitely helps the miles fly by. Thank goodness for a great training partner! (and someone who will take pics of me). 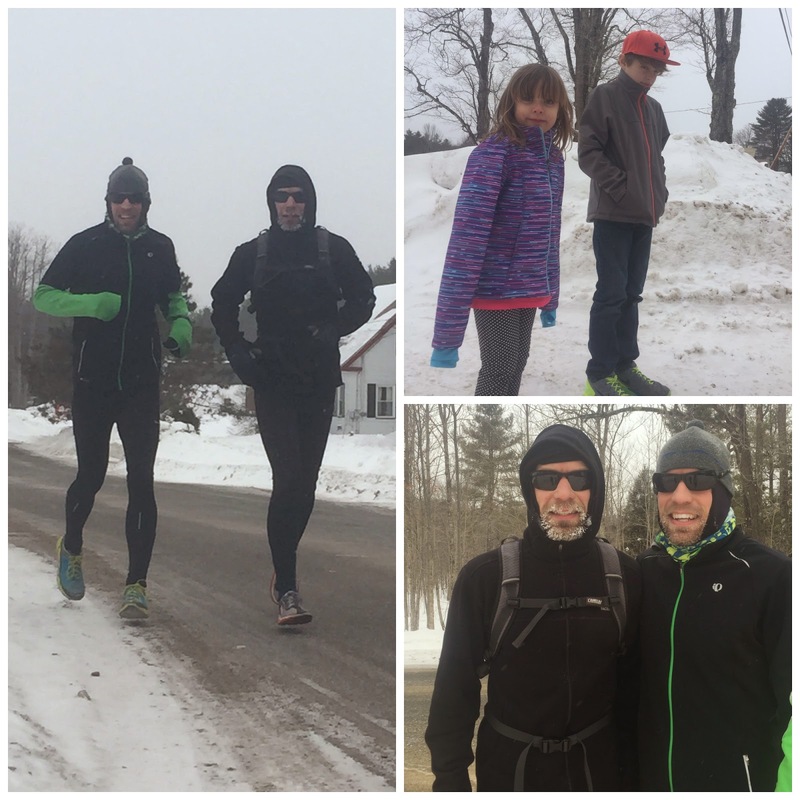 After we finished our run, Ward and Wade went out for their 20 miler. Outside. They are badass. Ward took his phone with him, just in case. Which I used to my advantage.... I tracked them on their run with Find iPhone...and then I realized they were going to run by the house, so the three of use went outside to cheer them on. The kids were not impressed with me, but the guys loved it! I have not sworn off running outside. I do love that fresh air and sunshine! I just don't love dry/cold air and super cold windchills making my asthma angry and dangerous/slick conditions. If the weather cooperates, I'll run outside today. If not, there is a treadmill with my name on it. I'm grateful for having options with running. Bad weather won't hold me back. How is winter treating you? 33 more days until spring! Here's hoping for a nice warm up. I cannot wait to see signs of life, budding trees, birds chirping.